Madelaine Hillyard is a brilliant cardiologist at the top of her game. A loving but overworked single mom, she is constantly at odds with her confused and angry daughter, Lina, a teenage rebel desperate to find the father she has never known. He is Angel DeMarco, now a cynical, world-famous movie star, living a shallow, glittering life. When tragedy brings them all together, and Angel’s damaged heart needs healing, Madelaine must face the betrayals of the past and find the courage to love again. A Very good story about a busy professional single mom, her teenage daughter who is in the rebellios stage of growing up and wanting to know who her dad is and where he is. A substitute dad , brother to her real dad, who dies suddenly and leaves behind many broken hearts. Another great and interesting book. 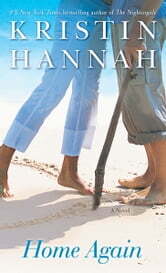 Kristin Hannah's books are always very good and has become my favourite author. She does her research very well and the reader always learns something they did not know before and enjoys a great read at the same time. Usually a great fan of Kristin Hannah, but this book is way below her standard. Slow, melodramatic, fake, endless repeating of unrealistic fact and feelings. I kept waiting for it to get better, but eventually just flipped through the pages to an end I had predicted from the beginning. Definitely skip this book and move on to better reads of the author. A fan of Kristin Hannah but could barely get thru this book. Often flipped a few pages at a time jut to get over the ridiculousness. So unreal and so fake... Not typical of most of her books. Save your money and buy some of the others. They are great this was not.